Appearance (0-20): The first impression is one of class and sophistication. 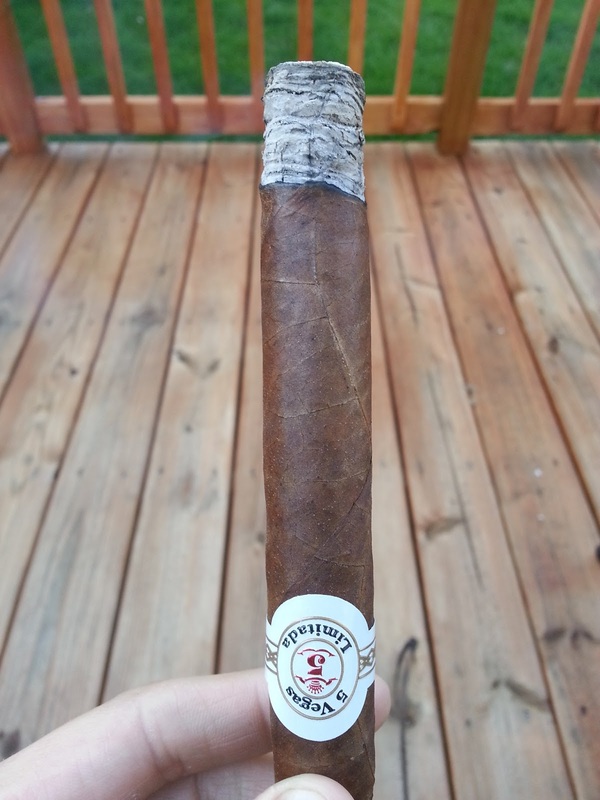 The white 5 Vegas Limitada band is a signature from year to year, while the foot band will change with each new series. 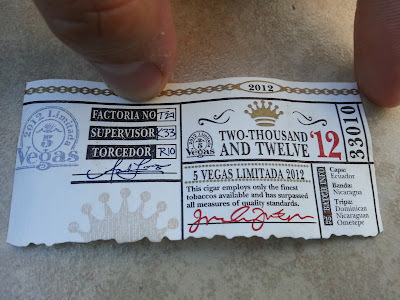 The 2012 foot band is pretty cool, giving some additional information about the cigar itself. As for the smoke, it comes in a light to medium brown grainy wrapper. There are no identifiable flaws to note, and everything seems good to go. Construction (0-20): There are no flaws or soft spots, and the burn was very nice indeed. The ash was a beautiful white/light gray color, and coiled together very nicely. The ash itself held on very straight, but nly for about an inch or so. Strength (0-20): Listed as medium-full, I feel as the missed the mark. The whole experience sat right smack in the middle of medium, and didn't touch any higher or lower. Flavor (0-20): To begin, there is a nice blast of spiciness, but that quickly subsides after less than an inch. Coming into the heart of the cigar, the most prevalent notes are some sweet cedar and hints of caramel. There still are small bits of spice, but barely anything to take notice. 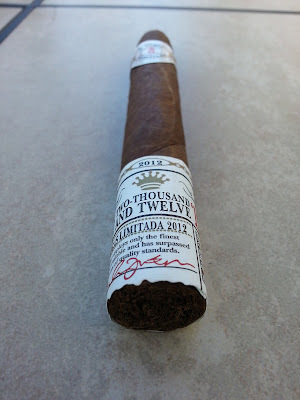 The smoke was enjoyable, but not as robust and complex as I would have liked. Value (0-20): For around $7, you are getting a quality smoke. The construction is great, but there seems to be some flavor and strength lacking. Don't get me wrong, this is an enjoyable smoke; I would pay the $7 for it, yet it's not a steal that many other cigars have. 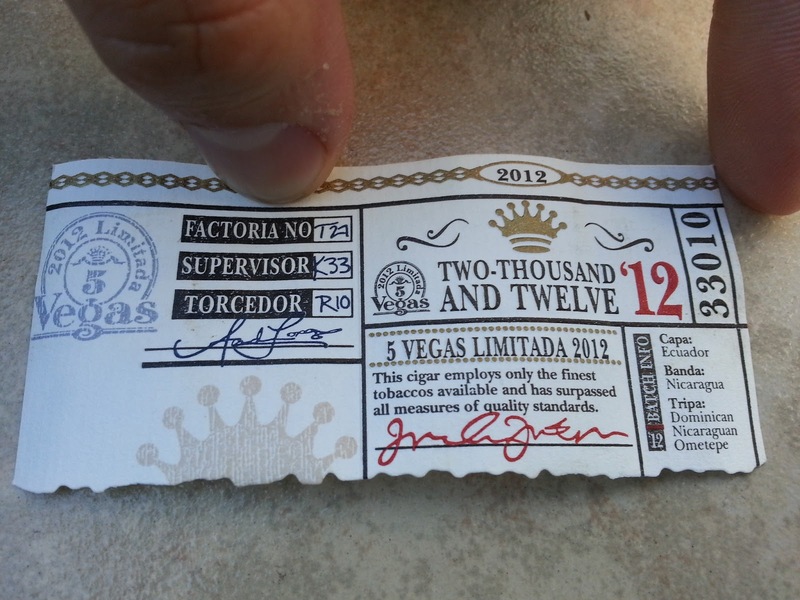 Overall (0-100): The 5 Vegas Limitada line is one that I have become accustomed to looking forward to. The 2008 is an excellent smoke, and nothing since then has come close. 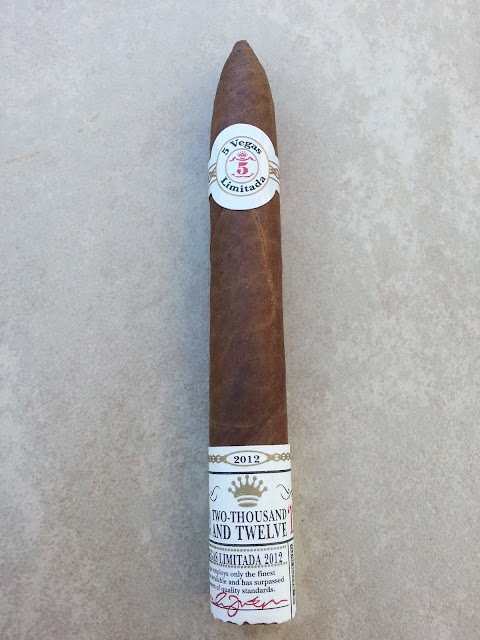 Last year with this smoke, the 2012 did make a nice come back and was quite enjoyable, but still missed that 2008 mark. If you are looking for a relaxing medium-bodied cigar, this isn't a bad option. Smoke without worry!